Whenever I start to get depressed or disenchanted by the state of Jewish affairs, I throw some cold water on my face and look in the direction of some of the amazing people within our Jewish community. People who are devoted to decency, humanity, the Jewish state and the Jewish way of life. And that revitalizes me and brings back hope. I recently attended a Succot dinner at Yeshivat Hakotel, honoring the more than 120 lone soldiers from around the world who have chosen to study at Hakotel and volunteer in the IDF. 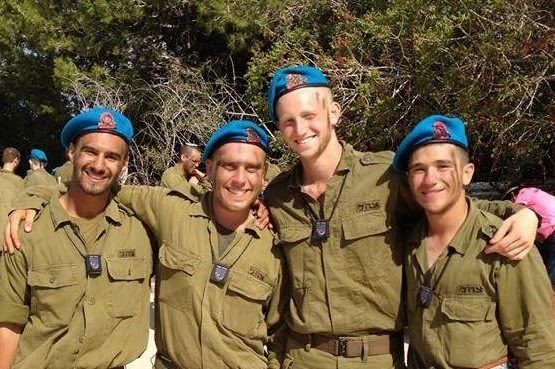 These enthusiastic participants in the Mahal program leave their family, their friends and their “normal” routine to come to Israel and put their lives on the line for the state. Almost all of them end up becoming citizens, marrying here and staying in Israel, and many of them “drag” their families after them. Hakotel is a fascinating institution. In the days following the Six Day War, the government was determined to establish a firm Jewish presence in the Old City. The Jordanians, during their 19-year occupation of Jerusalem, had demolished the synagogues and desecrated the Western Wall, dumping garbage and grazing their animals there. An institution needed to be built that would restore and reflect the spiritual intensity of the Holy City, and fill its ancient streets with the sound of Torah study. Yeshivat Hakotel was born, and has become famous for the hundreds of boys who march down to the Kotel each Friday night, leading the entire plaza in song and dance.